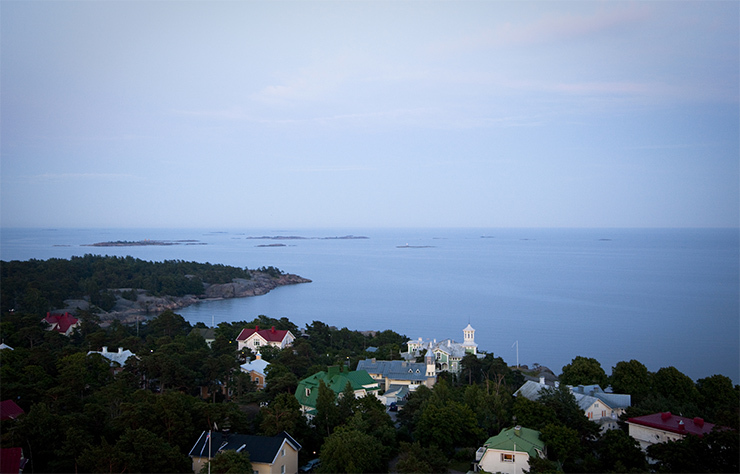 Hanko, the southernmost town in Finland, borders on three sides on the sea. Located on the south coast of Finland, only about 130 kilometres west of Helsinki, Hanko is a very popular summer destination for the Finns. About 30 kilometres of sandy beaches, the endless horizon and the beautiful villas are good reasons to stay here for a couple of days. 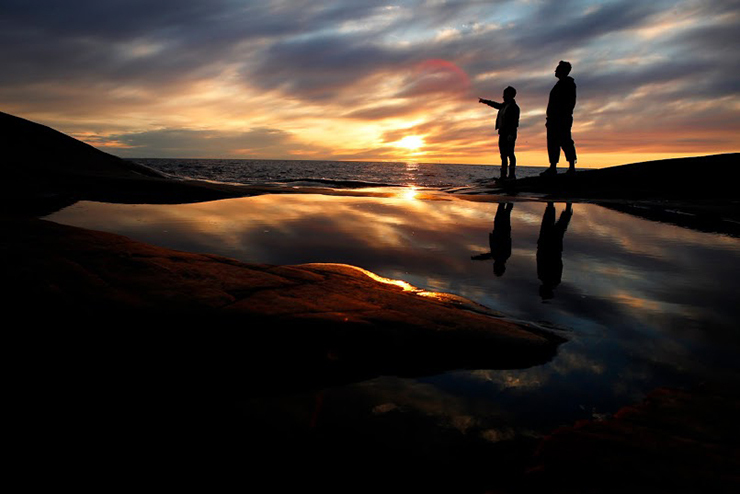 The sea is always present in Hanko – you can feel it wherever yo go! 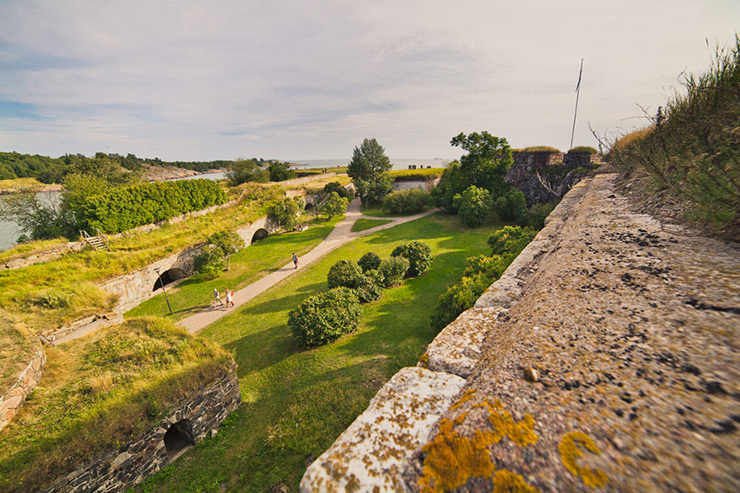 Suomenlinna Sea Fortress, located right in front of Helsinki, was inscribed into the UNESCO World Heritage List in 1991 as an example of 18th century fortress architecture in Europe. Nowadays Suomenlinna is one of the most popular tourist sights in Finland with around one million visitors annually. The beautiful islands are only accessible by water, but don’t worry – there is a ferry service available throughout the year. The trip to Suomenlinna gives also a good opportunity to see Helsinki from the sea. 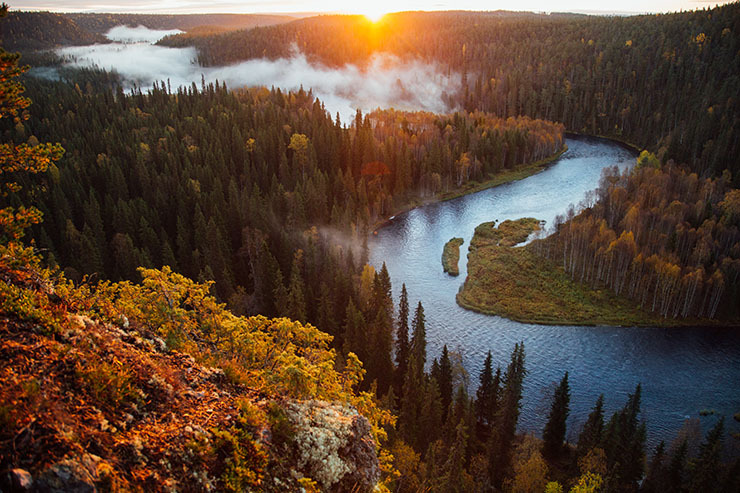 Oulanka National Park, one of the most popular national parks in Finland, is best known for its rugged landscapes and impressive rapids and falls. The most well-known are the Kiutaköngäs rapids, as well as the Myllykoski and the Jyrävä falls in the Kitka River. The nature trails and hanging bridges of the National Park will take you to the astonishingly beautiful spots in the area. Oulanka is a must-visit destination if you prefer solitude over the hustle and bustle of the cities. Even if Finland is not well-known for its beaches, Kalajoki is absolutely one of the best summer destinations in the country. If you want to spend a perfect summer day on the sand dunes by the sea, hike over duckboards or just admire the astonishing views, you know where to go! The 3-kilometre long beach, often called the pearl of Bothnian Bay, offers opportunities for many sport activities and games. The famous sand dunes are located in Norther Ostrobothnia on the seashore and by national road 8. Located about 150 km north of the Arctic Circle in Finnish Lapland, Ylläs has everything from beautiful natural landscapes to a popular ski resort and a variety of tourism services. The two different lappish villages – Äkäslompolo village and Ylläsjärvi village – are home to 850 people living in the area. In addition to everything, here you have a good chance to admire the northern lights from August to April. 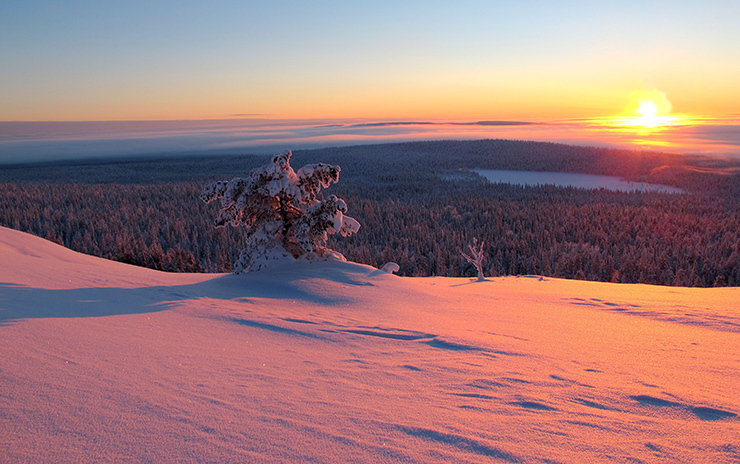 Koli, the most well-known Finnish national landscape, has been a symbol for the country since the 19th century. The most famous view opens up from the highest peak, Ukko-Koli, towards Lake Pielisjärvi surrounded by beautiful hills covered with candle-shaped spruce trees. Koli National Park and the surroundings provide a unique combination of beautiful natural and cultural attractions together with a range of tourist services. 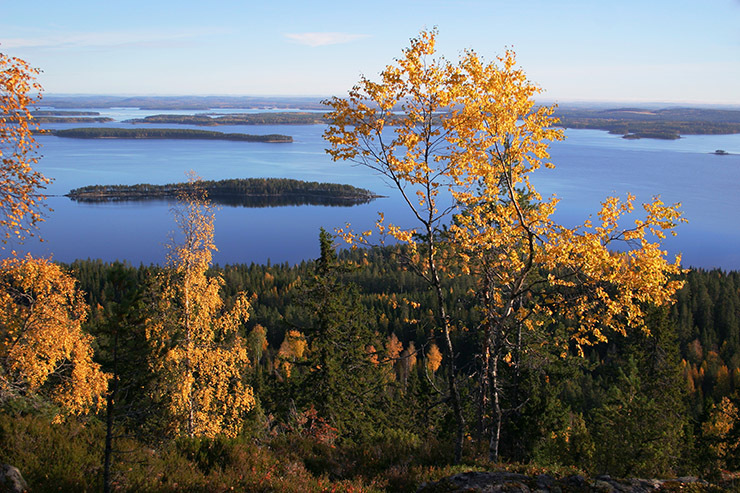 Like Koli, Punkaharju is also one of the most famous national landscapes in Finland. 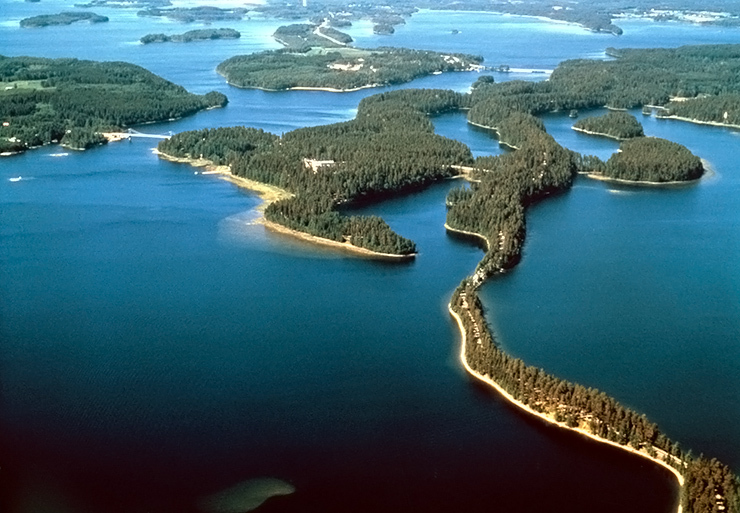 Thanks to its outstanding scenery, the Punkaharju ridge has been a popular travel destination for centuries. It is easy to enjoy the scenery from the marked trails that crisscross the ridge. 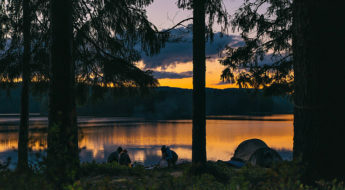 Punkaharju, famous for its clear waters and beautiful nature of Lake Saimaa, offers you a chance to spend an active holiday or have a relaxing stay in a traditional Finnish summer cottage, not forgetting the many cultural activities in the area. Kilpisjärvi, located close to the borders of Sweden and Norway in Finnish Lapland, has absolutely one of the most astonishing landscapes of Finland. The small village on the shore of lake Kilpisjärvi is surrounded by Finland’s largest fells – Saana fell right next to the lake and Halti fell a bit further away. Although Kilpisjärvi is one of the largest villages in Enontekiö, its population is only about 114. 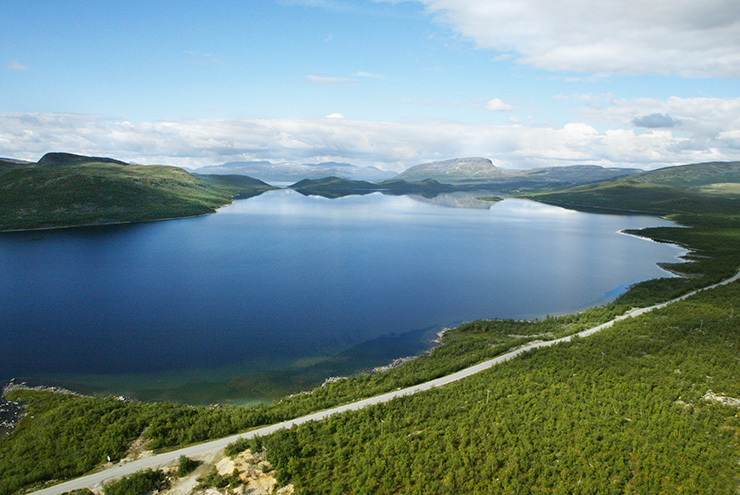 If you’re planning a road trip in Finnish Lapland, Kilpisjärvi is a good choice for a long pit-stop. Pallas, a group of seven fells, is one of the 27 National landscapes in Finland and a part of Pallas-Yllästunturi National Park which was originally established in 1938. In Pallas you can trek from hilltop to another or from lodge to lodge through the beautiful arctic fells. Enjoy the freshest air in the world, admire nightless night in the summer and northern lights in winter. The unique silhouette of the fells can be seen practically at all times and the nature trails lead you to the National Park’s most beautiful spots. Juha Kalaoja is a geographer and photographer who likes to capture the beauty of the Planet Earth. For more information, check out his homepage at www.juhakalaoja.com and take a look at his photographs at Fennevision.fi.